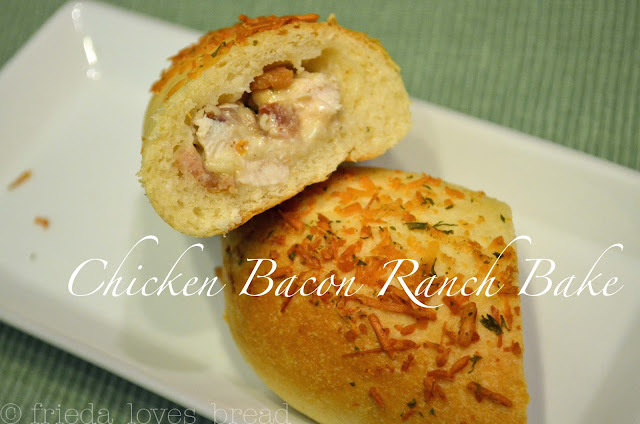 The flavors of chicken, bacon, cheese and Hidden Valley Ranch dressing come together perfectly in a soft, pillowy bun, topped with Parmesan cheese. Your kids are sure to gobble these up! "Made two batches of these tonight. Put onion powder, garlic powder and dried cilantro in with the milk. When it came time to shape the rolls, I rolled them flat and stuffed half with diced ham and mozzarella and the other half with pepperoni and mozzarella . 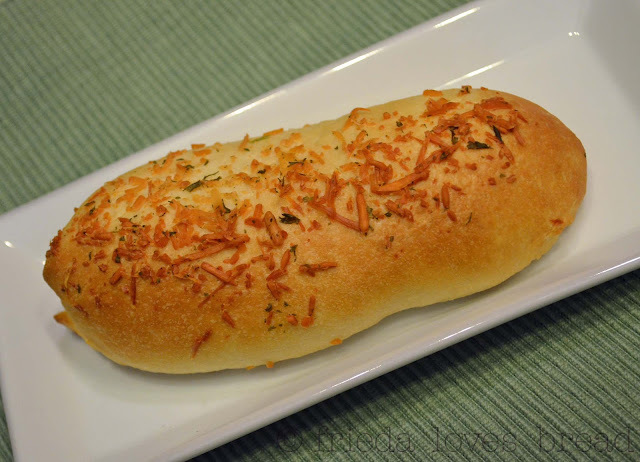 Let rise and baked as directed. Cooled on a rack and then stuck them in the freezer, ready to pop in lunch boxes. INCREDIBLE!!!!! Thank you so much! My hot pockets beat THEIR hot pockets six ways to Sunday." Cool, huh? I love it when my readers share how they have used my recipes! 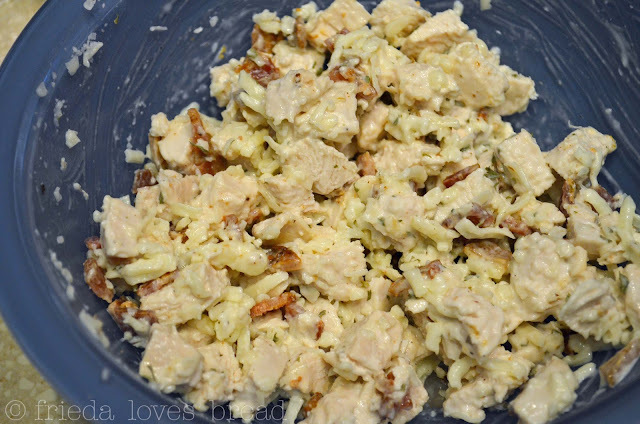 Her comment, a bottle of ranch dressing, and Costco gave me the inspiration for my Chicken Bacon Ranch bakes. They were so simple to put together and my family loved them! 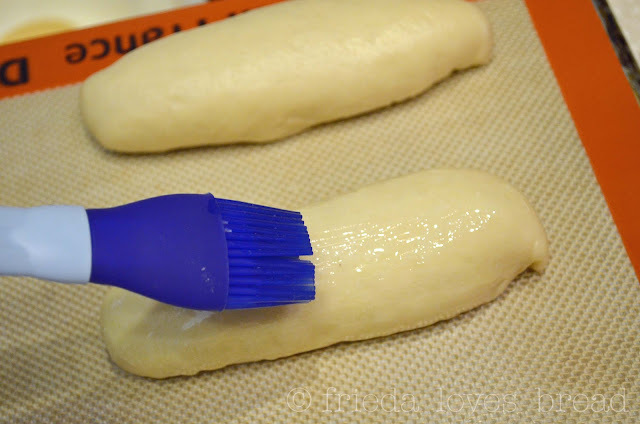 Begin with a batch of my dinner roll dough, pizza dough or store bought dough, whichever you prefer. Allow the dinner roll dough to rise in a warm place for at least 30 minutes. 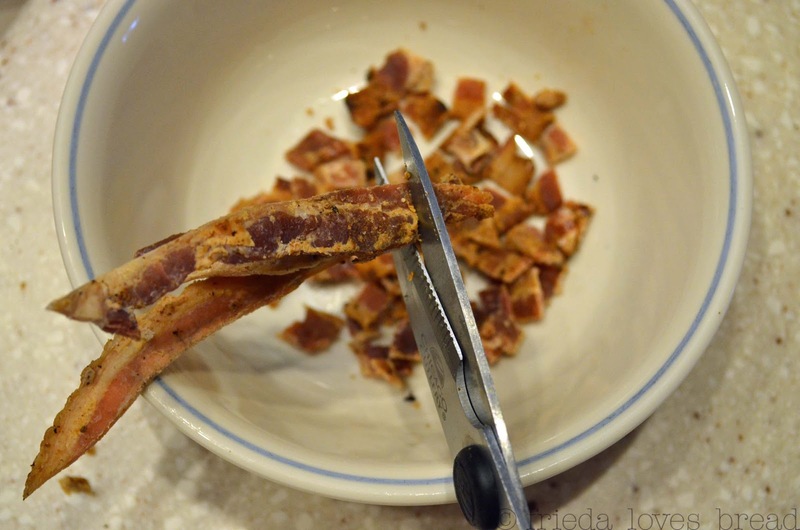 Next, cut up some strips of cooked bacon. Freezing bacon is a great tip for times when you only need a couple of pieces. Next, cook your chicken. I like to cover it with plastic wrap and cook it on high in the microwave for 5-6 minutes, checking for doneness. Using kitchen scissors makes quick work of cutting up cooked chicken, especially when it is hot. 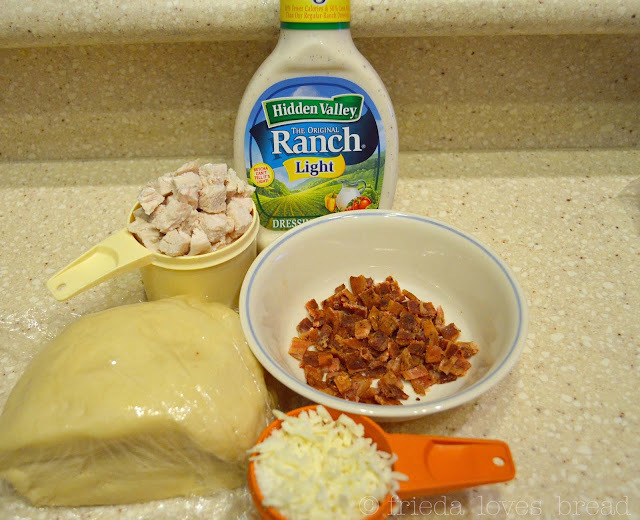 Add Hidden Valley Ranch dressing to the chicken, bacon, shredded mozzarella cheese, and parsley. Stir to combine. It's looking good already! 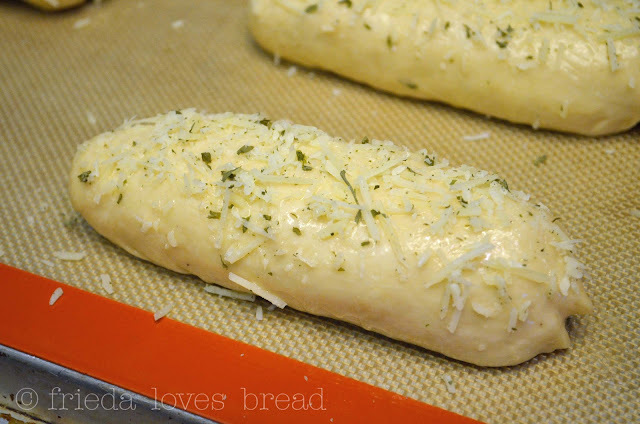 Divide your dough into two piles. Roll each pile into a 12"x12" square. 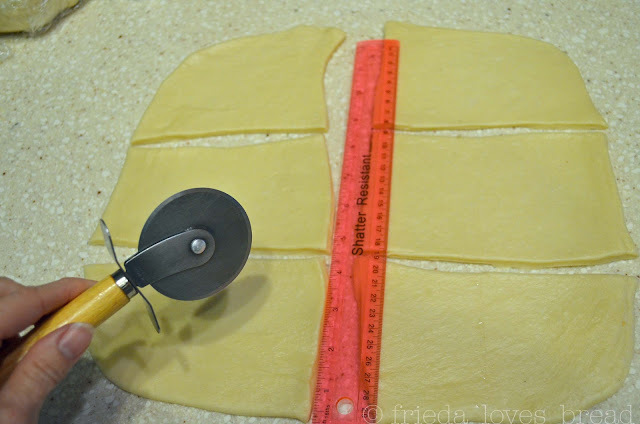 Cut each square with a pizza cutter into 6 pieces, for a total of twelve pieces of dough. 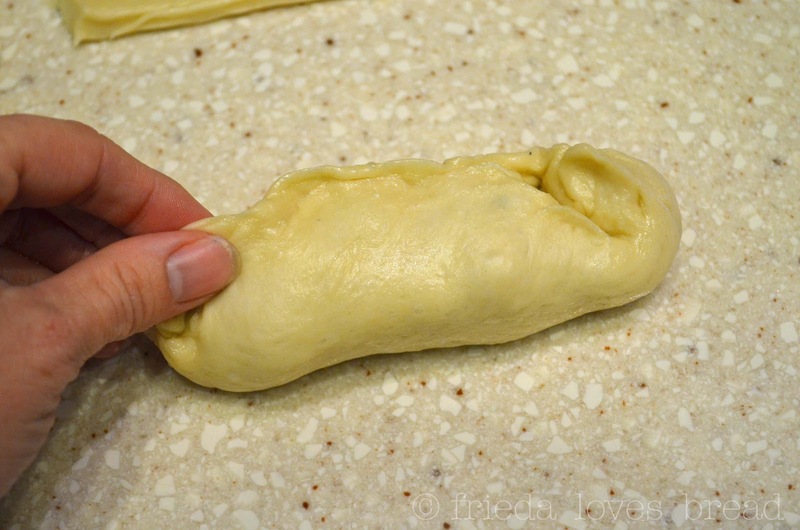 Place 2-3 tablespoons of filling in the middle of each piece of dough. 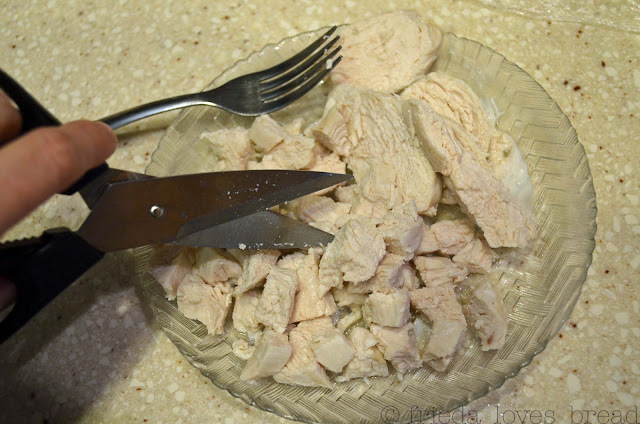 Bring the long edges together, pinching tightly, and pinch the ends closed. You don't want any filling to leak out! 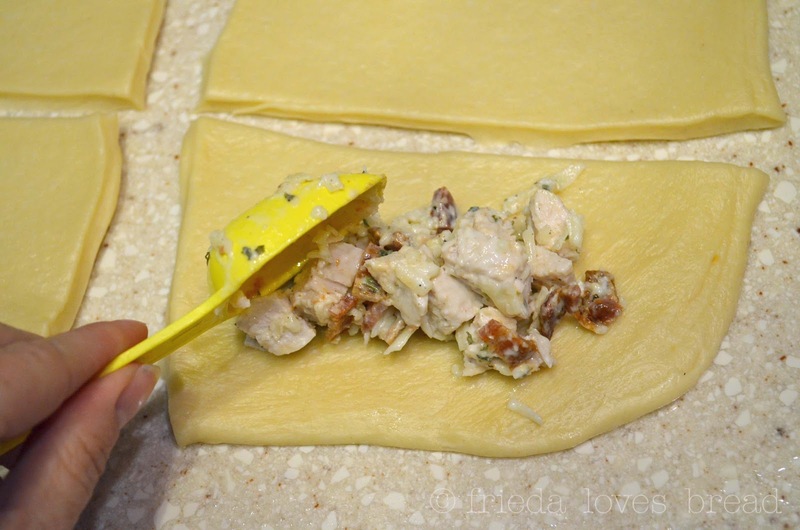 Put the filled chicken bake seam side down on a parchment or Silpat lined baking sheet and brush with melted butter. Top with a mixture of Parmesan cheese and parsley. Bake in the oven for 20-25 minutes or till golden brown. No, you do NOT need to let these rise! 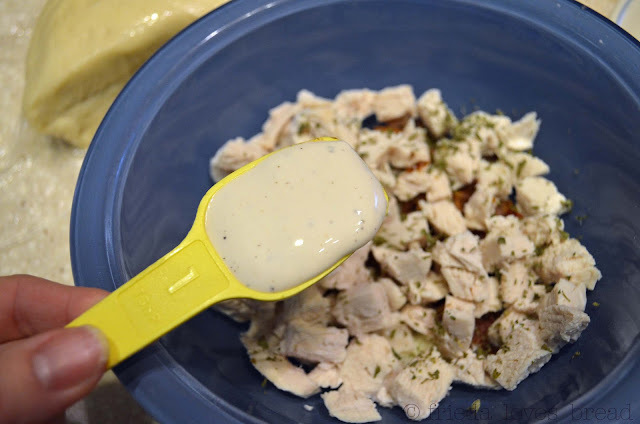 My husband is a freak for ranch. Oh how he will love me when I make these for him. What a great snack!